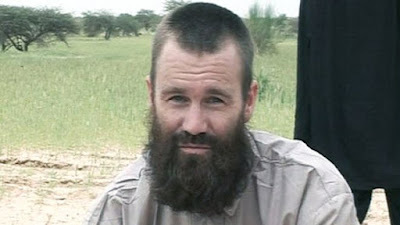 The man who is of Swedish descent was freed after being taken in Mali. The man was captured by Al-Qaeda and held hostage for five and a half years until now. The man's name is Johan Gustafsson. His release was confirmed by this statement by the Swedish government:"It is with great pleasure that I can announce that Johan Gustafsson has been released and can return to Sweden," this was said by Foreign Minister Margot Wallstrom. It is said that the victim was on a motorbike trip from Sweden to South Africa. However, he was sadly abducted in Timbuktu with two other people Sjaak Rijke and Stephen McGowan. In 2015 a video was released that showed both Mr. Gustafsson and Mr. McGowan under a bush in the desert. That was done to try and encourage negotiations with the government for their release. This is often an attempt to get something out of the government. However, they obviously don't always get what they want. Ms. Wallstrom mentioned that it is not government policy to pay ransoms but she did say that the liberation was the result of "several years of efforts" by authorities, politicians, as well as international authorities and of course diplomats.